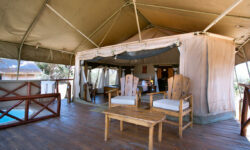 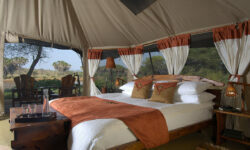 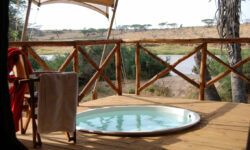 Samburu Elephant Bedroom Camp offers luxury in a setting of breath taking beauty. 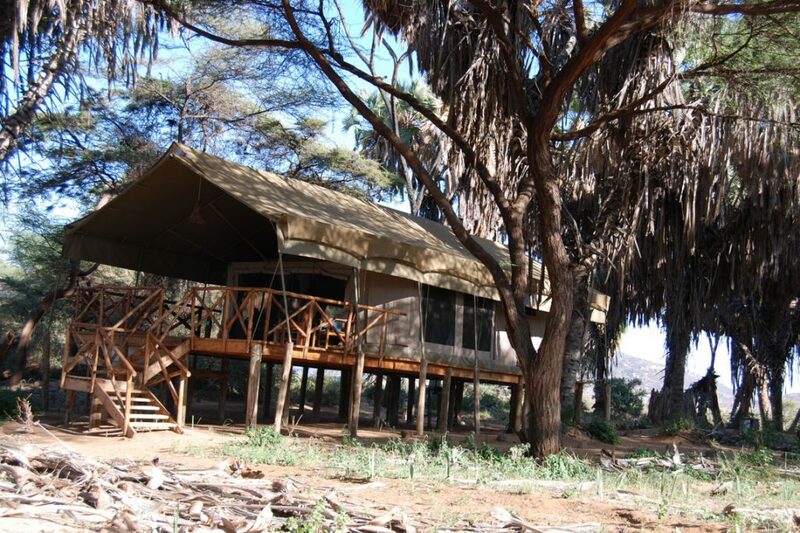 It is set along the banks of the Ewaso Nyiro River and shaded by doum palms and other trees that make up this green belt of riverine forest.The surrounding Samburu National Reserve is an area of spectacular scenery; its dry plains bisected by the meandering river, with the backdrop of Africa’s dramatic mountains, including Mt Kenya. 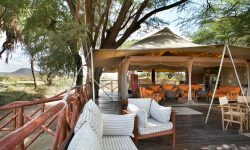 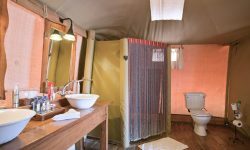 Elephant, Monkeys, Impalas are amongst the camp’s many regular wild visitors, whilst Samburu National Reserve has a good number of lions and leopards and offers the opportunity to see many species endemic to northern Kenya. 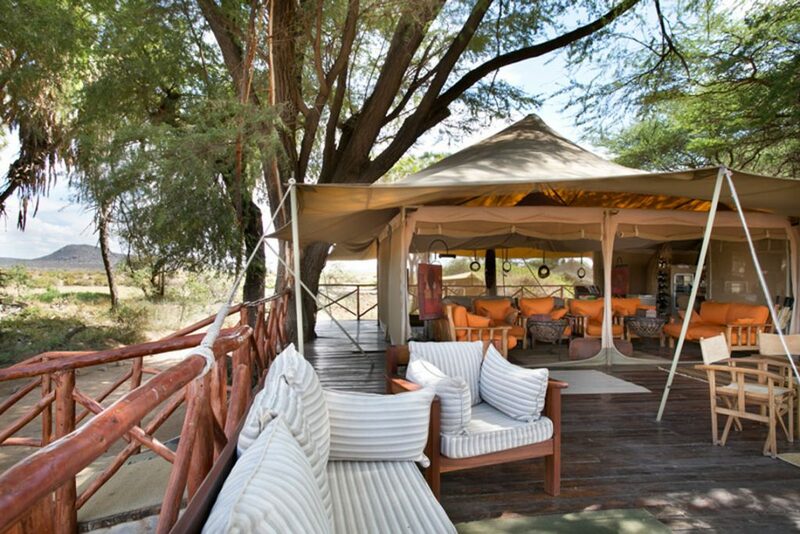 Samburu’s hot dry climate is also perfect for al-fresco breakfasts and three course lunches. 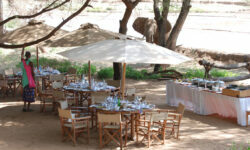 Four course candle-lit dinners can be enjoyed in the cosy dining area under the magnificent African sky.